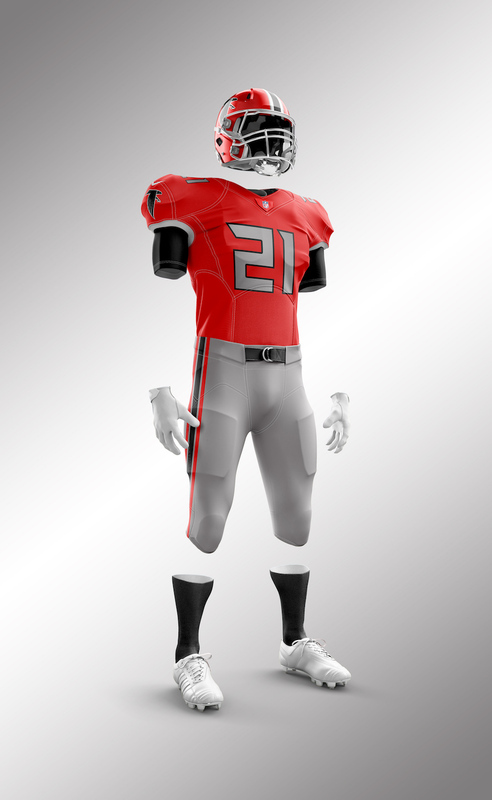 The Falcons are overdue for a fresh look. 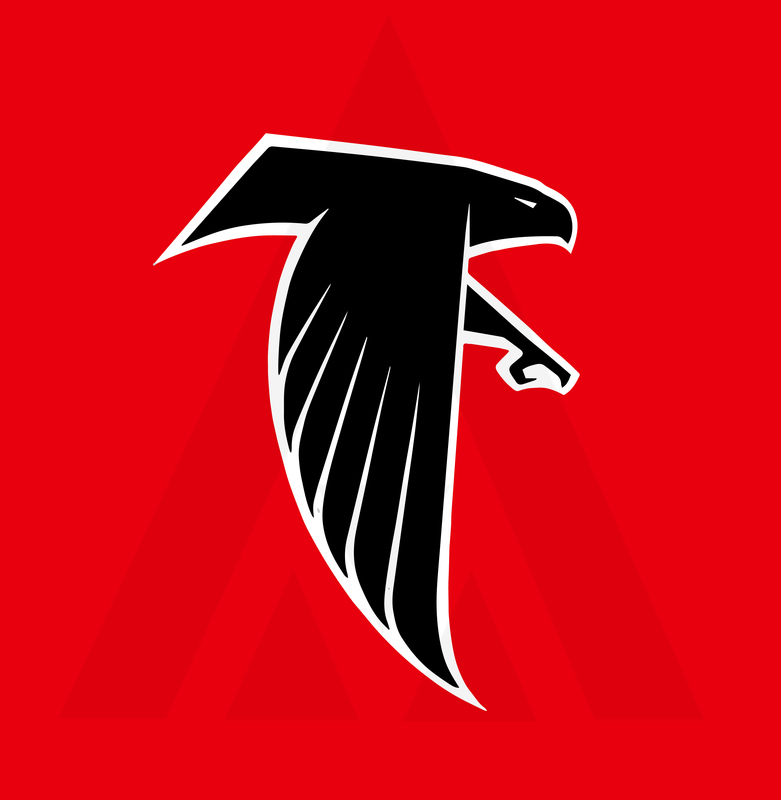 In my opinion, their old look wasn't a bad one, but Arthur Blank wanted to forge a new winning identity, so I get why the brand was changed. It's unfortunate that such a classic and strong logo had to fall victim to association to decades of losing. My idea is to go back to the old branding, but not all the way. I kept the current forward tilt of the current logo, as well as the aggressive bird's eye and overall feel to the classic logo. I did some styling to the wing feathers for a more aerodynamic look, and updated the bird's head and beak to look more like a bird of prey than the old, docile head of the classic logo. 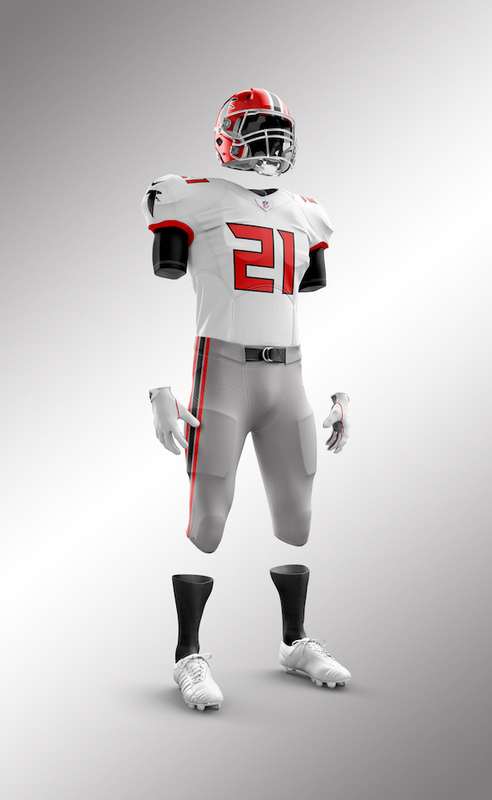 I may play around with helmet/uniform concepts along this line, so stay tuned! I like it. 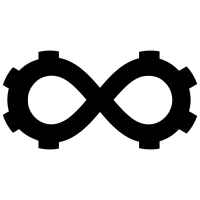 There is something about the shape of the old logo that I like but I can’t put my finger on it. Anyways, it’s a good update. I wonder if it might look better with the beak being white like the new one, just so it stands out a bit and isn’t just a black blob for a head. This is what they should’ve done from the get-go. Great update! I like the current logo (see my profile pic), but this, as a much less drastic change from the old logo, offers an slight modernization and a fiercer look, while maintaining identifiability with an already established brand. Nice work. At the risk of defeating the whole purpose of the exercise, can we see what the logo would look like if the white outline and negative space were red? I like it. Personal little rant- I just think their new logo really isn't all to bad. The old one really isnt THAT great. 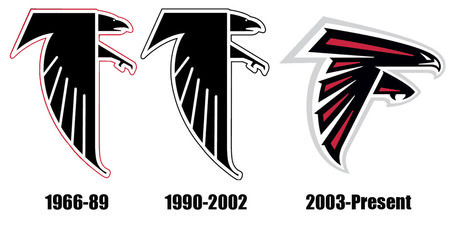 I will never understand the board's adoration for old logos, especially the falcons. i think what you did is a really nice update on a classic, but it doesnt have that "bird of prey" feel that the current one does. It isn't "mean" enough. Even the cardinals bird looks mean. I think you need to add some more of a beak to it, like make it have an open mouth. Also, it doesn't look like an f anymore, it feels almost forced. I think moving the bottom part of the wing more left will help, and make the head a touch longer. You absolutely nailed the body of the bird, and the wing design. I think the overall logo is a nice update, but i kind of wish it was more a blend of their current one. Great job though, its close. 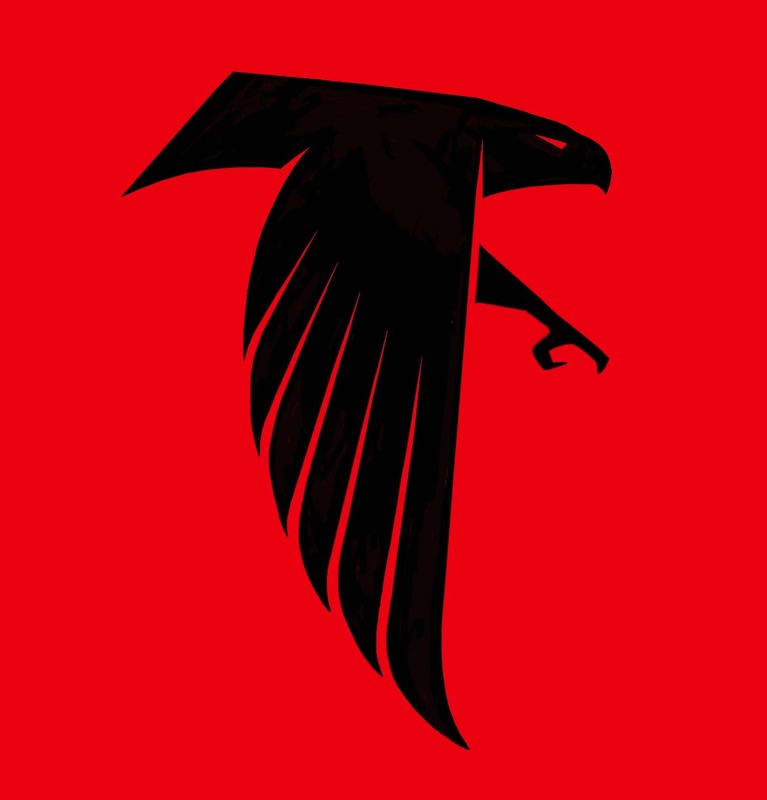 This is a great update.. i really like what you've got here.. my only nitpick is with the foot/talon.. i think it sticks out a touch too far (as i thought with the original logo), and the front talon feels a bit incomplete, given the length and curve of the back talon.. i think sliding the entire leg back behind the wing so that it doesn't extend beyond the beak would help balance it a bit, and if there's anything you can do to that front talon to add some downward curl, that might help as well..
As for the "F" issue, i've NEVER viewed any of the Falcons' logos as an "F".. it's a picture of a FALCON.. if that doesn't suggest "FALCONS" enough, then a forced "F" isn't going to help either... plus, letter monograms should stand for the city, not the nickname, so i have absolutely no issues with the fact that your update is less of an "F" than previous iterations - in fact, i prefer it to NOT be an "F", so kudos for fixing that issue..
i prefer the first version with the just the partial neckline.. it suggests that the wing is attached to the shoulder, near the neck, a bit more - and feels more natural to me..
and one last thought - they've been with a black shell for decades now, so perhaps showing it on a black background and adjusting outlines, etc accordingly might be a bit more realistic approach for what the team might actually do.. I actually like the suggested line a little better than the complete line. Why does it need to look like an F? To suggest "Falcons"?.. 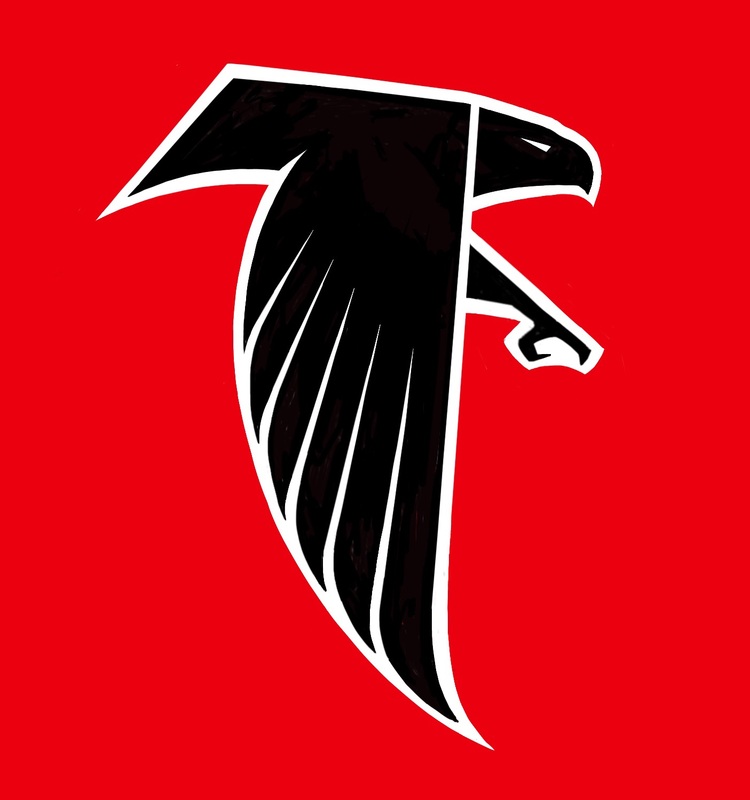 The actual logo of a falcon kinda takes care of that.. 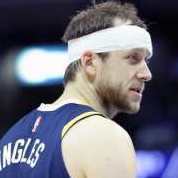 I'd like to see the white outline above the eye be smooth. Keep the black part with that small indent to designate the beak, but I think the outline should be smooth. And give the talon to the right a little bit of a curve on the inside. Also, may i propose that you tilt the entire thing forward to see if it gives it a more aggressive feeling? Just some things I'd personally like to see to compare, great job! I will always argue that a letterform logo should be for the city/state/region, not for the nickname. I hate the Bengals 'B' for this reason, and think the hidden 'E' (whether intentional or not) in the Eagles logo is ridiculous. But it doesn't have a double-meaning.. It has a redundant single meaning.. If you think a more modern logo is better, and the old logo is dated and should be left in the past, those are both perfectly valid opinions.. The whole "F" thing though.. Just silly.. 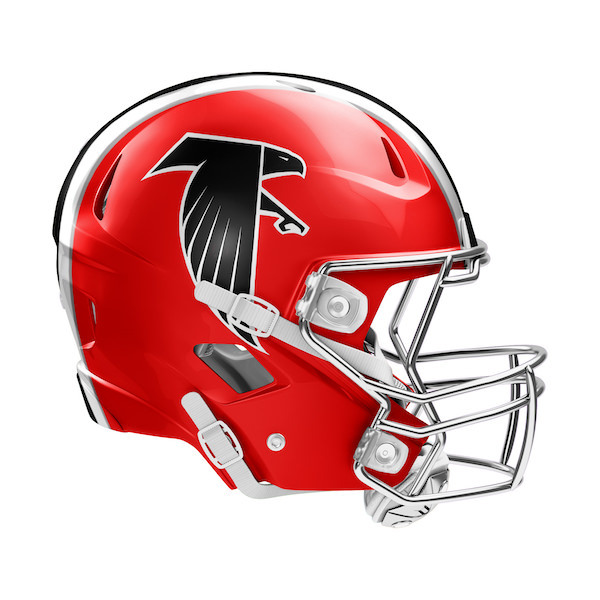 I have never viewed the current, modern Falcons logo as an "F", and when I try to see it as such, it looks horribly contrived and crudely forced.. Like someone post-production made the connection, and somebody in marketing thought it'd be a neat thing to include in the press release.. To suggest it's more than a Falcon logo is ridiculous from the start.. Shame on the Falcons for ever doing so..
Sure the old logo has its issues, and the current has its merits, but neither are perfect, and I happen to think this concept is a nice middle ground.. You're free to disagree, just as I'm free to disagree that it should double as a redundant "F"